Want to connect online with me, or contact me directly? Here’s all the information you need, all in one spot. Sign up for new blog posts by entering your email address in the green box on the right! Want to follow along in other places? Find out early what I’m working on – even before the blog posts! 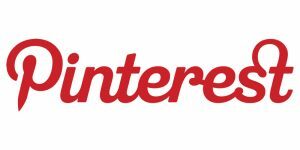 If you are interested in guest posting, advertising, or sponsoring a giveaway on Pinterest Addict, I would love to hear from you. Just shoot me an email! Thanks again for reading Pinterest Addict!